Hurricane Irene continues to make history: the storm led to a 20 percent drop in Atlantic City casino revenues last month, the biggest monthly decline ever. The storm forced the city's 11 casinos to close for three days, causing millions of dollars in losses during what would have been one of the busiest weekends of the year. The state Division of Gaming Enforcement reports he August revenue numbers were down 19.8 percent. The previous record was set in March 2009, which saw a 19.4 percent decline. Also hurting things was the fact that there was one fewer Sundays this August compared with last August. 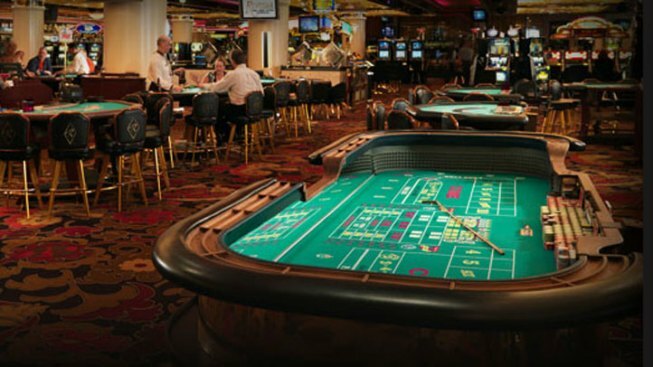 The casinos' take from slot machines fell nearly 21 percent, to $193.7 million, while table games revenue decreased by 17 percent, to $85.1 million.